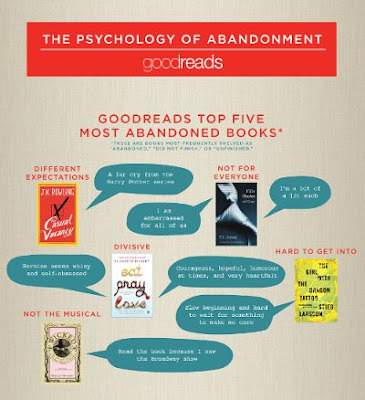 Goodreads has just published a fantastic pictorial graph of the Top Five Most Abandoned Books ... and a few reasons why they were abandoned by readers. For the full list, head to the Goodreads website. Do you feel guilty for abandoning a book? Or do you think life's too short to be reading something that you're just not enjoying?